Today I'm delving into a beauty review! I was lucky enough to get to try out the Dial A Smile Whitening kit from Whitening Lightning. If you want to skip to the bottom be sure to check out my discount code to get this kit at a huge steal! The kit comes beautifully packaged in a neat black box. This kit has three whitening treatments that you can complete in 20 minutes per treatment and claims that it will brighten your teeth 4-7 shades per treatment. It is a fantastic kit for smokers, wine enthusiast coffee lovers or teens that have just gotten their braces off. Or you could just be like me who wants a little tooth whitening touch up at home without going to the dentist and paying loads of money. Upon first look everything included is held in the box well in insert spaces. On top of the box was a Whitening Lightning tooth shade chart, three Oral Brush Up cleaning teeth wipes and the instructional booklet that easily walks you through the whitening process. 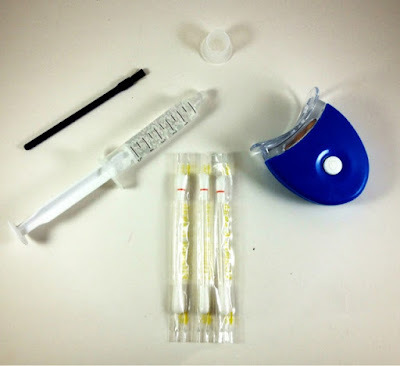 Also included are a brush to apply gel, a small capsule to hold the whitening gel while you are applying, a syringe filled with three treatments of gel, three q tips filled with vitamin E and a blue light activator that will get the gel going. First I used the cleaning brush up to rub my teeth clean and dry. Next I cracked the Vitamin E swab and applied it to my gums and the inside of my lips. I squeezed the gel out into the holding well and used the brush to apply it to my teeth. Since this was the first time I was using it, it was warm and a little bit difficult to apply. The remains of the gel are stored in the fridge and when I used it the second and third time it was much easier to apply after refrigeration. After that I was good to go and ready for the blue light! It comes with the battery already inserted so you just have to unscrew it and turn it on. The light can be used hands free for activities or you can hold it. After 20 minutes of the blue light voila! Just brush off the gel by brushing your teeth and you're done! I was worried mainly about sensitivity. Because of some events in my past I don't have a lot of enamel on my teeth and I am prone to sensitivity. However, I had no issues with this kit any of the three times I used it. I felt a tingling sensation but nothing painful, just an 'its working' tingle. Here are my results after the second treatment. My teeth on the right are before any treatments and my teeth on the left are after two! I noticed such a difference I didn't even really think I needed the third treatment. From the tooth whitening scale included in the kit I'd say I went from a 7 or 8 to a 4, maybe even a 3! Just for good measure I used the third treatment a week later. My final smile is gorgeous! I can see a definite difference in brightness and just look at this final picture versus the before picture above! I'm excited with this product! 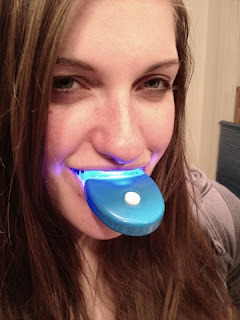 I would recommend this and will be returning to Whitening Lightning when I feel my teeth are in need of a little sprucing up. 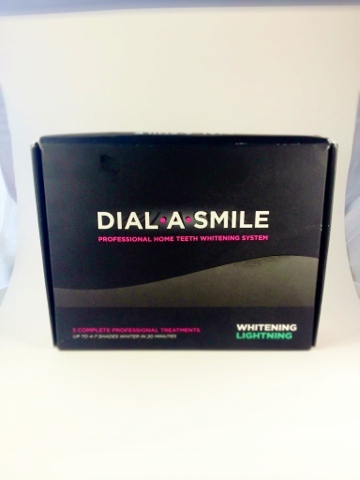 Whitening Lightning's Dial A Smile kit is usually $400. :( But good news! 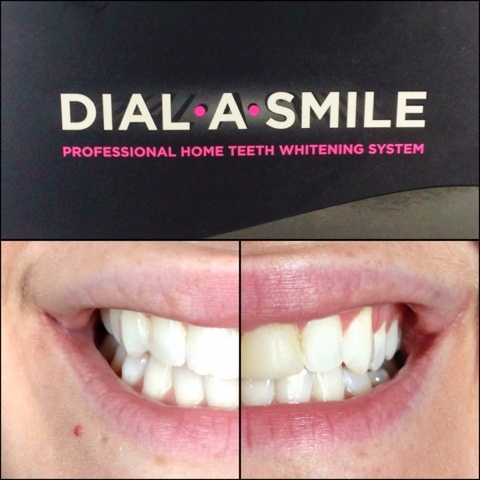 I have a special discount code that will bring the Dial A Smile kit down to only $69 for a total steal. At checkout just use the code 'glitterkit' and your price will be reduced. I've seen whitening strip kits at the drug store for around the same price which I have tried. 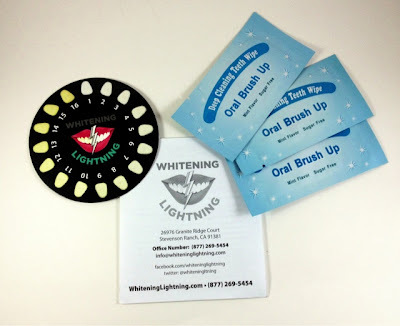 They definitely don't hold a candle to Whitening Lightning. Please note, this item was sent for review and is based on my honest, individual opinion. Removing these surface stains facilitate restore the natural color of teeth, doubtless creating them look lighter by regarding one shade, for more information click here cosmetic dentist deerfield beach.